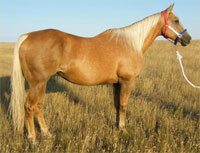 Fire Water Flit remains one of the leading barrel horse sires of today. He has been on the list of leading sires year after year, and with an unusually high number of winning barrel horses contributing to his successful winnings record. That indicates many different mares, different types of mares, and many different riders are successfully winning riding his offspring. He was the product of crossing a NFR qualifying mare with Flit Bar, sire of great and successful arena horses of all types. Flit Bar is representative of what has become known as a "magic cross", Leo daughters bred to the great Sugar Bars. Slash J Harletta, his dam, was so successful as a producer of winning barrel horses that her offspring have been referred to as a 'dynasty'. 'Flit Bars' have a characteristic way of handling themselves in a turn - they are very smooth and easy to ride, and they get their hindquarters low in the ground. The 'Flit Bar era' could be said to have begun in 1975, when Jimmie Gibbs Monroe won the World Championship Barrel Racing title on a Flit Bar son. Firewater Flit was a 1978 Palomino 15.2 H. He attained SI 86 in 1980 and was winning Derbies in 1983. He is the sire of over 350 foals with NFR qualifiers, many futurity and derby winners, and 14 AQHA World Show qualifiers. He has been at the very top of the leading barrel horse sires since the beginning. His get include such greats as NFR qualifier Firewater Fiesta, Firem All, Fire Water Fanny, Bug in my Firewater and Alive N Firen. He is now being proven as a grandsire to many great barrel horses as well. Sire of Supreme Champion Magnolia Pay, 1967 Honor Roll Halter Horse Roxana Bar, AQHA Champion and Superior Halter horse, Kidnap Bar, and a multiple of ROM Arena, Superior Halter, AAA Runners, and AQHA Champions. 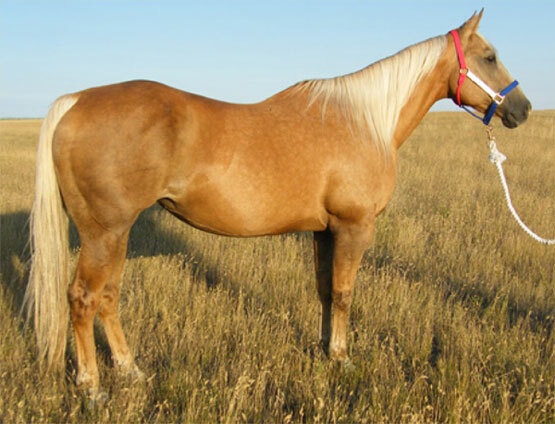 A barrel producer that was one of the first horses to be a barrel horse sire - legendary barrel horse sire including NFR performers, sire of halter champions, and maternal cutting sire, Magnolia Bar. RUNNERELSE (a great barrel horse sire & accomplished barrel horse) was out Magnolia Bar. In 1977, Lynn McKenzie and her her three-year-old Magnolia Bar gelding, Magnolia Missile, won all goes and the average at the lucrative TBRA Futurity. The next year, as a four-year-old, Missile was crowned the WPRA World Champion barrel horse. This duo continued to win many championships in their career. Magnolia Mistress, a daughter of Magnolia Bar sold to two-time WPRA World Champion Lynn McKenzie. Her daughters, Wendy and Jennifer, rode Magnolia Mistress with Wendy winning the 1987 and 1989 AQHA Senior Barrel Racing World Championships.